I have often made simnel cakes at Easter, and just as often they turn out quite dry and slightly disappointing, despite all the marzipan. This year Dan came up with a new recipe that includes pretty much everything you would put in a simnel cake, with some extras that give it a lift. 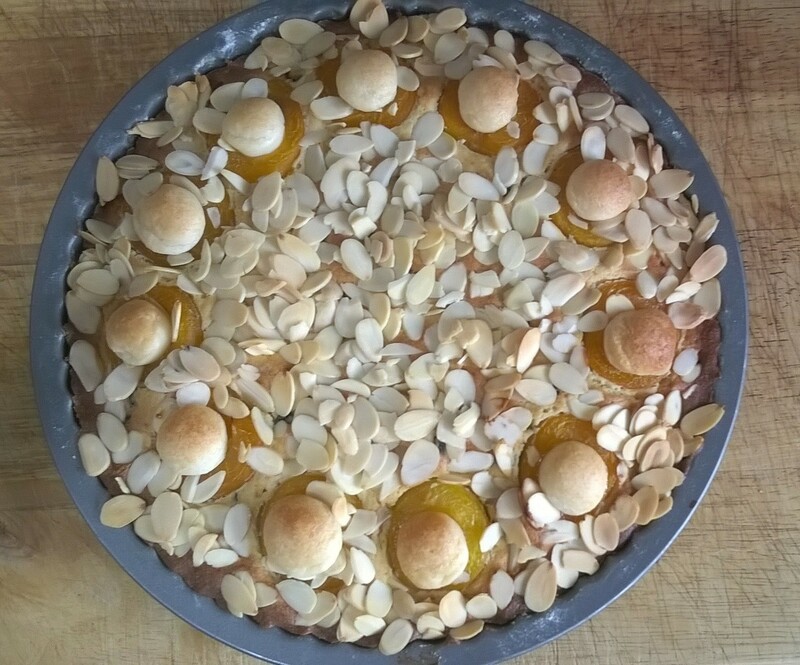 There’s apricots on top below little balls of marzipan, there’s ground almonds in the mix, which is moistened with a decent amount of sherry. The fruit is a mix of currants and ginger. In my effort I reduced the amount of ginger and used some mixed peel and raisins. You can pick up the recipe here at Australian Good Food. And this is what it looks like when I make it.